The Dual-Range Force Sensor may require a compatible interface and software. Choose a platform below to see compatible interface and software options. The Dual-Range Force Sensor is fully supported with LabQuest 2 (version 2.8.5), a standalone data logger with built-in graphing and analysis software. Maximum data-collection rate on the interface may limit the sensor's response in collision experiments. The Dual-Range Force Sensor is designed to be mounted on a ring stand, cart, track, or force table in several different ways. 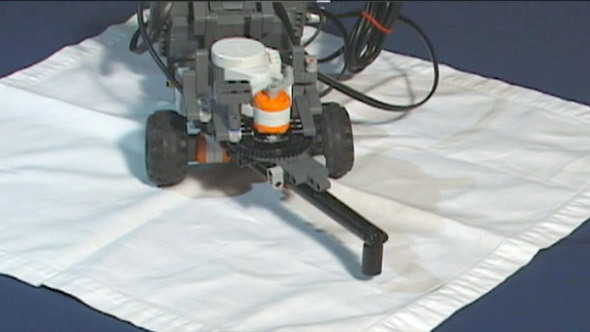 Use a 13 mm rod extended through the hole in the Dual-Range Force Sensor. Tighten the included thumb screw. Note that the Dual-Range Force Sensor measures forces in only one dimension. In this project, you will design and build a mobile robot to replicate the behavior of a military device searching for landmines. 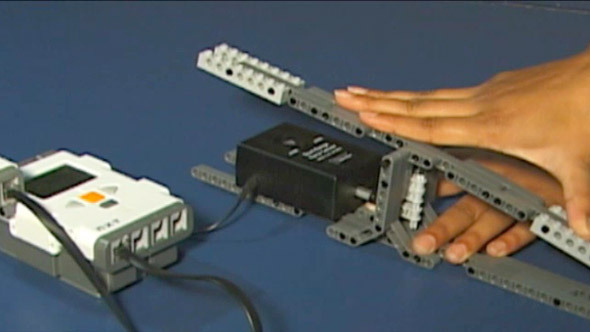 In this project, you will design and build a robotic device to give an auditory indicator of the force being exerted on a Vernier Dual-Range Force Sensor. 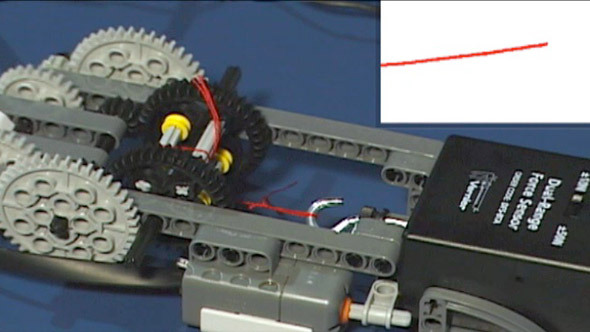 In this project, your challenge is to build a robotic device to test the tension strength of string, fishing line, and/or sewing thread. Use the Vernier Dual-Range Force Sensor and Go!Link to measure the frictional force between different shoe soles and the floor. Compare the frictional forces on a variety of surfaces using a Dual-Range Force Sensor with Logger Pro software. You should not have to perform a new calibration when using the Dual-Range Force Sensor in the classroom. The sensor is sensitive enough to measure the weight of the sensor hook. To minimize this effect, simply place the sensor in the orientation in which it will be used (horizontal or vertical) and choose zero in the software. Much like pressing “Tare” on a scale, zeroing will define the current situation as 0 N of force. If you want to improve the calibration, it is easy to recalibrate. 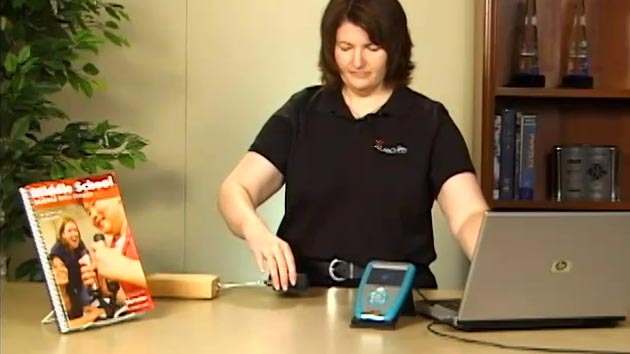 Follow the same two point calibration procedure used in calibrating most Vernier sensors. One of the points is usually with no force applied. Remove all force from the sensor and place it in the vertical orientation. Select the calibration option in the program you are using. Enter 0 as the first known force. Apply a known force to the sensor. The easiest way to do this is to hang a labeled mass from the hook on the end of the sensor. Enter the weight of the mass (Note: 1 kg applies a force of 9.8 N). For calibration in the ±10 N range, we recommend using 300 g of mass (2.94 N) for the second calibration point. For calibration in the ±50 N range, we recommend using a 1 kg mass (9.8 N) for the second calibration point. Be careful not to exceed the selected range setting during calibration. If you plan to use the Dual-Range Force Sensor in a different orientation (horizontal vs. vertical) than calibrated, simply zero the sensor after calibrating to account for the change. The Dual-Range Force Sensor uses strain gauge technology to measure force based on the bending of a beam. Strain gauges attached to both sides of the beam change resistance as the beam bends. The strain gauges are used in a bridge circuit such that a small change in resistance will result in a change in voltage. This voltage change is proportional to the change in force. 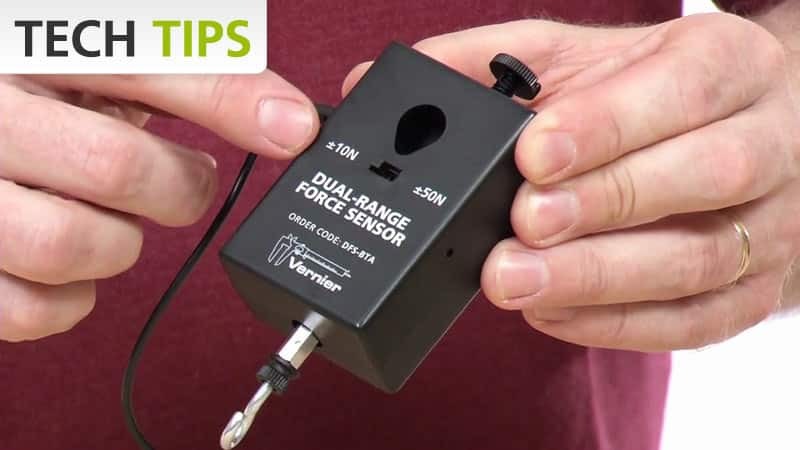 A switch allows you to select either of two ranges: ±10 N or ±50 N.
If you have watched the related product video(s), followed the troubleshooting steps, and are still having trouble with your Dual-Range Force Sensor, contact Vernier Technical Support at support@vernier.com or call 888-837-6437. Support specialists will work with you to determine if the unit needs to be sent in for repair. At that time, a Return Merchandise Authorization (RMA) number will be issued and instructions will be communicated on how to return the unit for repair.